17 November 1980: Lyndon Harries (1909-1980) passed away. R.I.P. 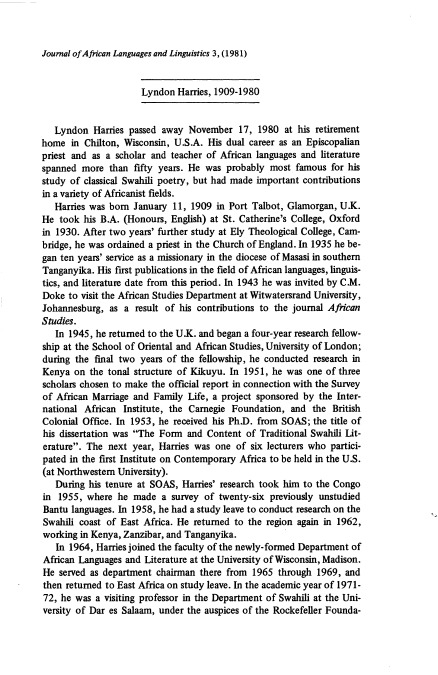 src: Journal of African Languages and Linguistics, Volume 3, Issue 1, Pages 65–70, ISSN (Online) 1613-3811, ISSN (Print) 0167-6164, DOI: https://doi.org/10.1515/jall.1981.3.1.65.